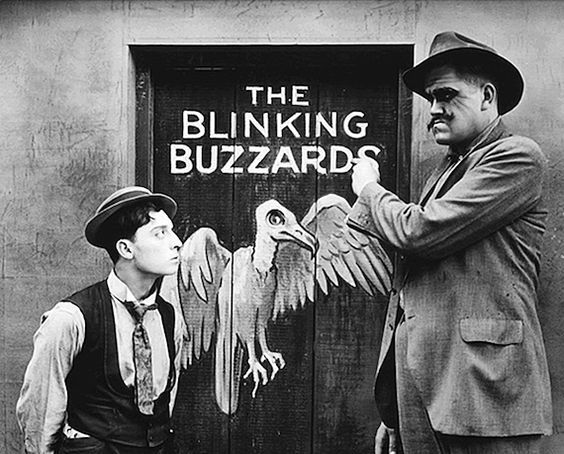 Something I've heard time and again -- from commentators who speak of his work -- is that the leading actresses in Buster Keaton films were no more than "props" to this great master. This idea rankles and has always sat ill with me. I mean to take it on. An unfortunate challenge with confronting this "props" theory, is that it seems to have been declared notably by Eleanor Keaton herself (see, e.g., 1995 interview with John C. Tibbets), possibly originating with Buster -- obviously formidable authorities. Others have repeated this so often that it has taken hold as a truism: Keaton's leading ladies were weak (as comedians), chosen mainly for their proportions, placed in scenes to be handled and molded, or otherwise of limited or diminished value. (See, e.g., LA Times Article quoting film historian David Gill). But they have it wrong. Certainly there are some Keaton films where the leading female role is not central or essential, but I would never agree that, generally speaking, Keaton's leading ladies were unimportant or just props. Lets start with the idea that Keaton selected leading ladies for their proportions. Well, duh. Keaton was a visual genius who chose many actors in his films at least in part for their physical characteristics. 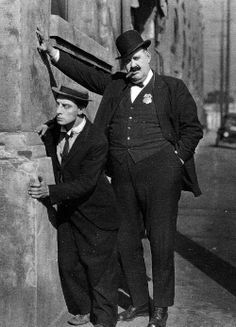 As Keaton must have learned early on while working with Fatty Arbuckle, the juxtaposition of himself with a tall rotund man is itself visual comedy. When Keaton struck out on his own, he consistently chose to work with Big Joe Roberts at least in part for this reason. And think about the hilarious relative size of 5'5" Keaton with Ingram B. Pickett, purportedly 6'11", looking almost like members of different species in The High Sign. Consider, too, that Keaton knew what he was doing when he worked with Snitz Edwards as a sidekick, who was only 5 foot flat and made Keaton look big. 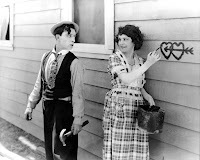 With similar attention to visual considerations but probably opposite intent, Keaton surely chose leading actresses whose size complemented his own so as not to introduce an element of comedy in a pairing when it was meant to be romantic and plausible where there was no wish to draw attention to stature. Obviously, Keaton also knew how to use physical characteristics of women as a source of comedy when he wanted to. That talent is on display in his scenes with a non-petite Kate Price in My Wife's Relations or with the tall, leggy, Charlotte Greenwood in Parlor Bedroom and Bath. Given all of this, I think an intelligent take on the generally petite size of Keaton's leading ladies is that this was a smart choice for non-distracting photographic symmetry in romantic pairings and that it need not be seen as evidence that their talent did not matter. So now we reach the central question. Accepting: (1) that the fact that Keaton's leading ladies were small in stature is not alone dispositive on the issue and (2) ignoring films over which Keaton had minimal creative control, we can get to the heart of the underlying issue: were the leading ladies that appeared in Keaton's films talented in their own right? Did they add something to the productions, besides being manhandleable? I would claim that many if not most of these women are profoundly appealing on their own -- having charisma, charm, comedic chops and worthy screen presence -- and/or played roles that were essential to Keaton's finest work. Starting with the numbers, I'm going to hold Keaton accountable for his treatment of women in 30 films (20 shorts and 11 features, including The Cameraman). Of those 30, I find the leading lady to be memorable and/or important for her ability to convey attributes that matter to plot or theme in all but a handful. Maybe 5 or so. And I am prepared to defend this. I'll start with Sybil Seely, his costar in 5 independent shorts (including One Week, The Scarecrow and The Boat). Seely's presence is not uniformly well-utilized in all five of these movies, but is undeniably an essential part of the charm of the best of them: One Week. Were Seely just a prop, this movie would have been weaker by far. But she brings a heaping dose of sweetness, as a woman who loves her new husband and works tirelessly to inhabit the home they are making. She herself is a zen kind of presence, plotting her own course in her own home, cooking outside, drawing hearts on the wall, and demonstrating her irritation with this charming but frustrating man. She is the young wife that wants to impress at a dinner party and stubbornly tries to pull her house off the tracks at the end. She is the reason we so want this house to succeed. It is her expectations, forbearance and frustration as well as her constant sweet love, that form the solid foundation upon which all the comedy lays. She is certainly no cardboard cutout, she is an essential part of the film. One would not care nearly so much about Keaton's endeavors to build this house were it not for this excruciatingly real woman who is the everywoman lens we frame the plot through. Seely showed great skill as an important teammate to Buster in the other movies she appeared in as well. In The Boat she adds a similar necessary element of partnership to the plot's function and interest. And The Scarecrow showcases her innocence, charm and companionship. The best of the films she appeared in are best precisely because her roles were allowed to be more fleshed out. On to Virgina Fox who costarred in fully 10 of Keaton's independent short films including some of his very best: Cops, The Goat, and The Playhouse, to name three. Although Fox does not have the same personal charisma and charm of Seely, what she does have is a very strong, cold, aloof, counterpoint to Keaton's matter of fact directness. While I would argue that One Week is the best of his short films in large measure because Seely and Keaton together are an amazing team that sell the story so completely, I would also argue that Keaton himself displays his best comedic skill when he is solo, flying free. In films where a solo-Keaton is the point, the leading lady does not become inconsequential. Rather, she becomes important for an entirely different reason. Fox -- because she is good at what she does in these exceptional films -- represents the conservative world concerned with propriety and appearance. She, like the world around him, is unfeeling and unimpressed. Unattainable. She is the opposite of a prop. In fact, Keaton hardly touches her in these (and other films) in which she appears. He can't -- though he might wish to -- because she is a part of something he can't quite have. Fox is essential because her personal style and performance choices allow this central theme of Keaton as societal outcast to be so fully realized. Keaton has to have known she was the perfect 'foil' in this way, because he used her again and again to fulfill that need. We should all be thankful to Fox for selling this untouchability so well because it forms the backdrop of much of what made Keaton, at his apex, great. What all of the foregoing really points to is the broad diversity of female character types that were in fact employed by Keaton in the short films over which he exerted great influence and control. His choices were not uniform, but were wise and sharp and attuned to the skills of these women. Whether he even realized he was doing it, Keaton integrated the talents and features of leading ladies that added to any given plot or theme he developed in his films. Now lets turn our attention to Keaton's feature length movies and explore some of the leading ladies who shared the screen with him in these 10 independent films. I'll start with my favorite: Katherine McGuire, who starred in both Sherlock Jr and The Navigator. Having recently re-watched both of these great films, I simply cannot state strongly enough how much McGuire's presence enriched both for me, particularly in The Navigator, where she carries half the film as a collaborator on nearly equal footing with Keaton. Just as in One Week, where the presence of a team we care about sets off the gags and gives importance and meaning to what would otherwise just be "funny," the whole film The Navigator is enriched by a worthy partner. Much is written about Keaton's great 'saphead' character (used here as well as in other films), but it should not be forgotten that McGuire's own aristocratic ineptitude is necessary for The Navigator to work. She exhibits it in her attempts to make coffee, her setting off roman candles, her running around the decks of the ship in great abandon, and her sealing Keaton up into the scuba suit, to name a few moments. Her role isn't ancillary, but essential to the idea that they are a rather inept team that is up the creek without a paddle. But we nonetheless care about them! Their chemistry is palpable in part because McGuire is a charismatic, funny, and intelligent misfit and her fleshing out this character with real acting chops is necessary to our caring about what happens to the pair of them on this great big boat. When people argue that Keaton was sexist in his choice of women's parts and leading ladies, I fume, because Keaton in fact often set women off as the more competent counter-point to his own character's ineptitude and struggles. It should not be forgotten that in Keaton's best movie ever, Sherlock Jr., McGuire plays the woman who actually solves the crime, with simple, elegant competence, unlike her bumbling boyfriend. Also think of Anne Cornwall in College or Marceline Day in The Cameraman as examples of competent, modern-women (a college co-ed and a career woman) who are popular, charming and in control of their lives, while also expressing a warmth and caring that captures Keaton's heart. Strong capable intelligent women are all over the place in Keaton films. I'll mention two other stand out performances from Keaton's independent features and then rest my case. Marion Mack in The General. We are told at the beginning of the film that Buster has two loves: his girl, Annabelle Lee, and his engine, the General. 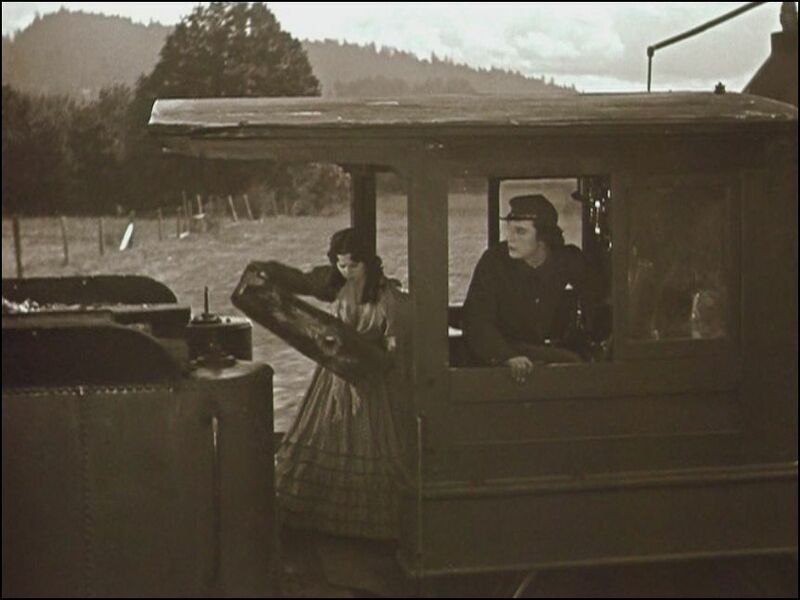 Keaton's use of the locomotive is one of unparalleled gall, as he exhibits every bit of acrobatic skill and grace crawling up over and below this prop throughout the film. There is no question that the steam train makes a capable prop, but it is not a co-star. And I am aware that this film has been oft-cited as an example of the love-interest-as-prop criticism I am taking head-on here. Yes, we see Keaton work tirelessly in, around, and with Annabelle Lee, as his second treasure, while she sits often bewildered in the center. But this "woman as prop" take betrays a limited sense of what it means for an actress to make that happen. What I mean is, Mack was a flesh and blood human actress, not a steam train. It is absurd to think that being called upon to serve as love object in The General was an easy feat. If one is to say that an actress is "just" a prop in a movie like this, I would argue that one has never attempted to make just any actress act as a prop. Its like saying Jim Carey's face is just a face; just an object he uses to perform with. Saying so obscures the skill it takes to make this type of action look good. Marian Mack is a goddess. She was called upon to inhabit and sell a character while performing physical stunts and having physical stunts performed in and around her. No one who wasn't a skilled physical comedienne could have pulled it off -could have taken on this role with such believability. 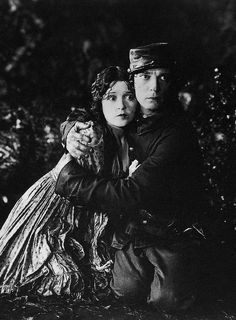 To the extent that The General shows us an example of a movie where Keaton goes crazy with his props, I think this serves to showcase the tremendous skill and talent of the actress who was at the heart of it all, selflessly allowing the action to proceed flawlessly all around her and just dealing with it. So, yes, being a good prop should actually be viewed as hark work. But that said, I would stop and take on the underlying assumption that Mack was no more than a prop, a backdrop. In addition to being a game physical comedienne, she also played a woman who was a driving force, a locus of calm and determination, the lens of normalcy. Mack gives us the same sort of willing participant that Kathryn McGuire had been in The Navigator -- a role that makes the viewer feel grounded. It is her steady, up for anything, presence, picking out logs for the boiler, or sitting up all night with Keaton that makes us feel safe and connected to the action. Essential? Yes! There could have been no The General without such a female at the center with Buster. Finally, we get to my other favorite Keaton film of all time, Steamboat Bill Jr. And what I consider to be one of Keaton's most appealing screen co-stars, Marion Byron. What a charmer! She is spunky, and cute as a button. She suits Keaton physically so well in this film, I just want to gaze at them together. She's the Meg Ryan of her time and I want to pick her up and put her in my pocket. Were someone to suggest that Sleepless in Seattle would have been just as good with any other actress, I'd say they were insane. Byron, like Ryan, adds a charm, and fanciful flourish to a part that is needed to offset Keaton's earnest, but more stoic endeavors. Byron enchants the audience with her charisma and makes us understand why it is so important for Keaton to be with her. As with some of the other Keaton leading ladies, she does actually get manhandled a bit here, and negotiates it extremely well. This is an incredibly appealing film, due in no small part, to the great screen appeal of Byron. Finally, if you need one last push over the edge, I offer myself -- I mean my experience watching Keaton -- as testament. When I first started watching his silents, I enjoyed several Keaton films without the 'benefit' of any extensive reading or commentary about them. 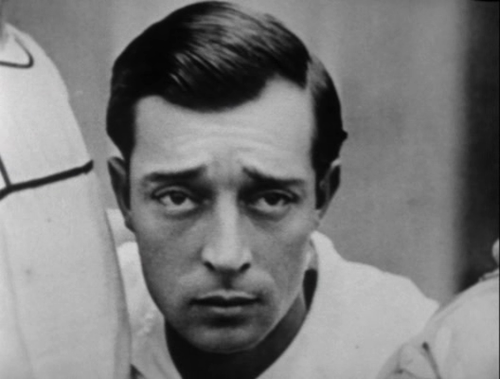 I was highly surprised when I learned later that people were saying things like Buster didn't value his leading actresses or that he used them as props, because my own immediate response upon seeing his films for the first time had been: "wow, how cool that he was so enlightened and non-sexist in his portrayal of women." My first reaction as a modern intelligent woman, was that his films treated women in a modern, empowered and intelligent way. I'll leave you with this: What Keaton did so exceptionally well in his independent work was to understand Story at a deep level. And he was fluid and pragmatic about what was needed to tell a story. When a story called for teamwork, companionship and collaboration of an onscreen pairing, he utilized actresses that could provide a satisfying partner in the antics (think, McGuire in The Navigator, Seely in One Week, or Haver in The Balloonatic.) When the story called for Buster to be a misfit loner trying to piece together an existence, free from cops and other entanglements, the leading lady was apt to be standoffish and capable of expressing a cool counterpoint that left Buster alone (think Fox in Cops or The Goat, or Ruth Dwyer in Seven Chances). Where the story was more romantic, and a leading lady was needed to sell an attainable womanly appeal and kindheartedness, the perfect choices were actresses like Byron in Steamboat Bill Jr or Day in The Cameraman. And when, on occasion, a strong comedienne helped sell a story, Buster knew how to work with actresses like Kate Price or Charlotte Greenwood. In most cases, these 1920s era silent film actresses shine with star quality, pluck and appeal that stands the test of time. First of all, I'm so glad you're back to blogging; I have missed you so! Second, I agree. I've never found Keaton's leading ladies to be mere props. I would not necessarily argue he is a bonafide feminist, but the women in these movies are not there for him to lug around, even if the weaker ones are just put on a pedestal at times. 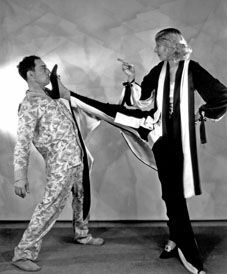 But now you've given me a new appreciation for Virginia Fox, an actress I have often felt to be the weakest of Keaton's co-stars. PS I know your piece isn't arguing for Keaton as a feminist filmmaker, but I was thinking about this the other day: as far as feminist interpretations of his work would go, the only one where you could kind of go that route is Sherlock Jr. 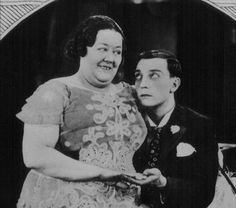 In the movie within the movie, Keaton is the rescuing hero and McGuire the helpless damsel. In the "real world" frame device, it is McGuire who rescues Keaton from slander and a false accusation! So you could interpret that as showing how in the real world, women are more complicated than in Hollywood fantasy. I don't know; just my ten cents. Thank you so much! :) Its nice to be appreciated -- me and Virginia Fox, haha. I agree with you that I never loved Fox and it wasn't until I started writing about her here that I truly realized her worth. I have thought about feminism with respect to Buster -- and this might seem a little weird, but the idea that Buster himself is a figure that can represent an everywoman's struggle. The idea is that Buster had genius but not power, how if left alone to blossom he could do amazing things, but was often under the control of others – such as the Talmadge family, or later MGM; that he was a slight and beautiful figure almost feminine in some ways. .... anyway, its just a thread of an idea I might explore someday. In regards to depicting women, what do you think of Seven Chances? In his (mediocre) book of close readings on Keaton's feature films, Daniel Moews claimed the film was reacting to feminism. Like the enraged brides after Buster's blood represented feminists upset with the patriarchy. I found it a ridiculous notion myself. I think I would tend to agree with you, though I haven't read Moews' book. My take on Buster would be that he would not and did not intentionally inject feminist or anti-feminism angles into anything he did. In fact, I don't think he would have intentionally injected political or social messages into his work at all. Besides, wasn't he supposed to been put upon to even make Seven Chances - with a script and story thrust upon him against his will? I probably wouldn't look to Seven Chances to find the key to Buster's feelings on feminism, haha. But, back to your first point, I would absolutely look to films like Sherlock Jr for hints of it!